Institute of Law, Nirma University Ahmedabad and Centre for Alternative Dispute Resolution presents 1st ADR Research Paper Writing Competition. Centre for Alternative Dispute Resolution Considering the significance of ADR in India, Institute of Law, Nirma University established the Centre on Alternative Dispute Resolution in 2012 to enhance knowledge, understanding and scope of ADR amongst law students, legal professional and judges through cutting edge research and publications so as to create awareness of ADR as part of justice delivery system and to equip them with practical aspect of arbitration, mediation and other ADR. To achieve this objective, Centre has organised Mediation Training Workshop and Arbitration Training Workshop for the law students in the past. Further, Centre also conducts Client Counselling Competition amongst the law students to groom their advocacy skills. 1st ADR Research paper writing Competition on “International Commercial Arbitration in India: Problems and Prospects” attempts to provide a platform for the law students for expressing their views on various aspects of International Commercial Arbitration and recent developments taking place across the globe which effects the Indian position. The topics of the competition ensure to provide global relevance and encourage the participants to analyze and convey their thoughts and probable solutions on the topic. International Arbitration Tribunals in India: Future Opportunities and Challenges. •Students enrolled in any fulltime L.L.B. / L.L.M. programme of any recognized university/ college/institute in India. 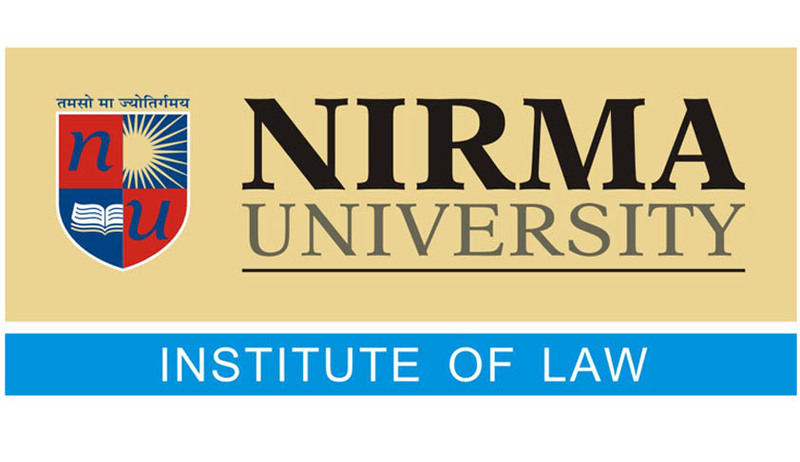 300 INR through Demand Draft in Favour of “Institute of Law, Nirma University”, Payable at Ahmedabad. *Best paper (of First prize winner) from each topic will be considered for publication in the upcoming journal of Centre for ADR, Institute of Law Nirma University and winner may be invited to present their paper in a Symposium which will tentatively be organised in the first/second week of May. *Certificate of merit will be awarded to other 05 papers (apart from the above three Prize) from each topic.